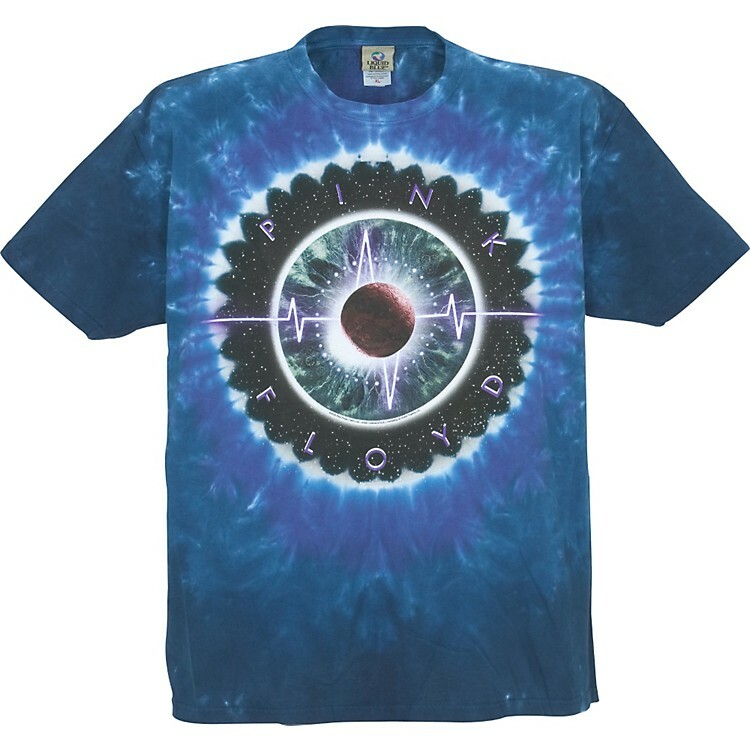 What better way to celebrate the upcoming release of Pink Floyd's Pulse DVD than with this Pulse Concentric 100% cotton tie-dye. Pulse was recorded during the 1994 Division Bell Tour. It contained the entire Dark Side Of The Moon album in a live format. The Pulse design is full of interesting conversation pieces including the images of Dorothy and her red shoes and the Witch's bike from the Wizard of Oz. These images give credence to the urban legend claiming that the audio from Dark Side is in synchronization with the video of the Wizard of Oz. If this weren't enough, the spine of the CD container featured a perpetual blinking light.